Remote Shell in Microsoft Exchange Server 2010 enables you to manage your server running Exchange 2010 from a remote computer, either on your network or from the Internet. A User must be enabled for remote shell before the user can user it. Install Windows Management Framework: Windows Management Framework contains Windows PowerShell and WinRM. Join your computer to a Windows domain: If you want to user your current network credentials, the domain you're joined to must be trusted by the domain where the Exchange server resides. Your domain doesn't need to be trusted if you manually specify credentials that are valid in the remote domain. Open TCP port 80: TCP port 80 must be open between your computer and the remote Exchange 2010 server, and the port must be allowed through Windows Firewall on the Exchange 2010 server. To enable remote shell for a user, you need to enable the feature by Exchange PowerShell. 1. At Exchange Server, log in as Domain Administrator. 2. Launch "Exchange Management Shell". Remark: By default, all users are enabled remote shell. 1. At a domain workstation, log in as Domain Administrator. 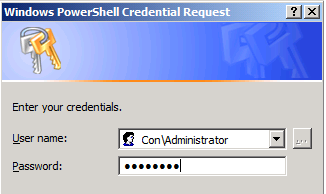 By default, the Execution Policy of Windows PowerShell is "Restricted". 4. Enter the following cmdlet to modify Execution Policy to "RemoteSigned". Remark: The "ConnectionUri" also supports https address, but the server must be installed the certificate which is assigned by trusted certification authority. 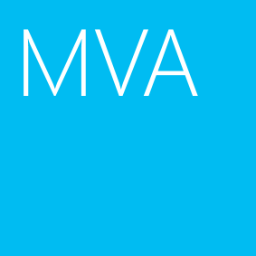 Now, you can perform Exchange cmdlets in this PowerShell session. Remark: If the Execution Policy doesn't change to "RemoteSigned", when you perform "Import-PSSession $Session", you will get the following error. 2. Enter the domain user name and password.